Auction #1- 650 lots of knives: Simultaneous Online and Live auction Saturday Nov. 28th. 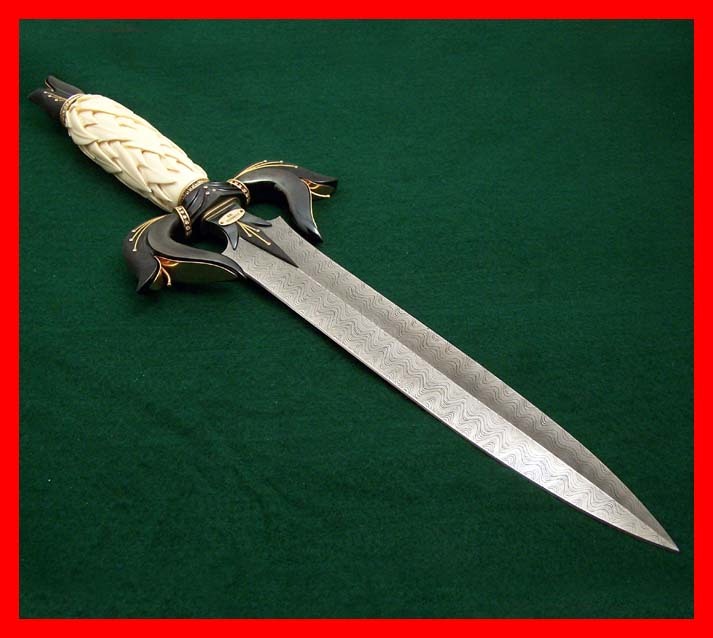 Auction #2- 306 lots of knives- Online only auction Bidding begins Nov. 30 and ends Dec. 3rd. Here’s a quick vid overviewing this inventory. CBSNEWS did a special video feature on knifemaker Bob Kramer, one of only 114 Master Bladesmiths in the world. The funny thing is they were surprised his knives are so expensive. 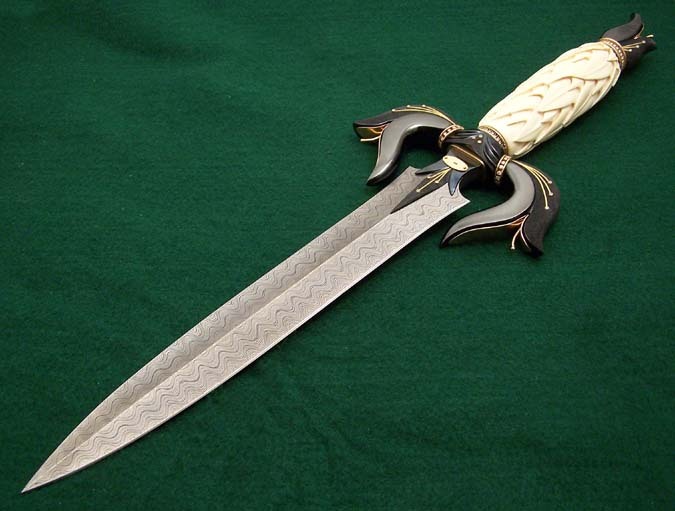 Welcome to the world of custom and collectible knives CBS. Here’s the link to the video. 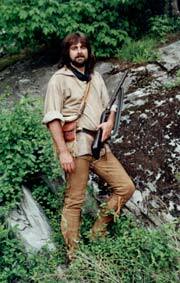 Great national exposure for Bob, knifemaking and custom knives. 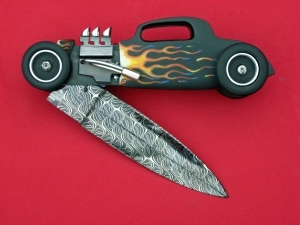 2009 Blade Show- everything I hoped for! The Blade Show is the real deal. Very few things in life live up to my expectations (sad, but true), however, the 2009 Blade Show was everything I hoped. I could feel the excitement the minute I stepped into the huge hall. 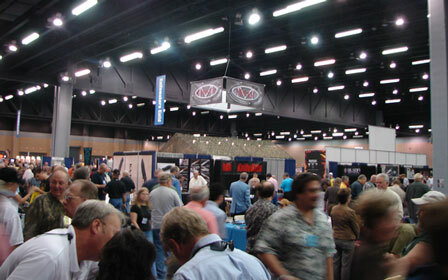 Imagine standing in an indoor football coliseum-sized room crammed full of folks buying, selling and talking knives! The room was totally high energy. 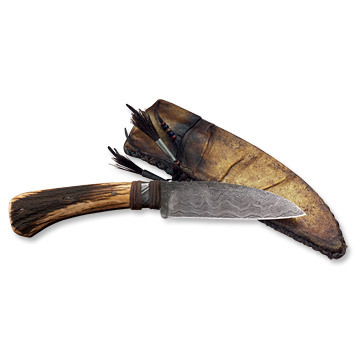 Everywhere you looked was cutlery- from knives dating back to the Viking age, to cool customs and traditional pocket knives too, but the center of attention was the tactical knives. Thousands attended along with 700 exhibitors and most everyone had good traffic, and yet it was the knife companies displaying their hottest new tacticals that saw the throngs of consumers lined up three and four deep that dominated the show. The tactical excitment was very contagious, and this coming from an old knife guy- pun intended- the latest hi-tech designs are off the charts. Needless to say, I heard the siren’s song too and bought my first- from Mantis Knives. It is their just released Jyro. Way too cool. After spending almost 20 hours in the exhibition room, I was overwhelmed with the friendliness of everyone there- from the executives of the major manufacturers, to the established custom maker and other attendees. It was close to a class reunion, even though the 2009 Blade Show was my first! I’ll be reporting over the next week about other impressions and happenings, but wanted to provide you a high-level perspective of this killer show. The folks at Blade know how to run a show. It was perfect. I appreciate them allowing me to record the show from a collector’s and industry perspective.